Inverness Glamping offers an all year round Glamping experience on the edge of Inverness. Rural yet close enough to all facilities and attractions Inverness and the area has to offer. 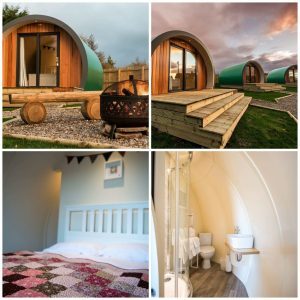 Each luxury pod is ensuite and sleeps up to 4 people. Your towels and linen are provided. Additional facilities include: The Bothy where you’ll find a fridge, microwave, basic cooking utensils, plates etc. There is also a wee wood burning stove to keep you cosy. New in March- a new covered decking area with rugs and chairs for your comfort.